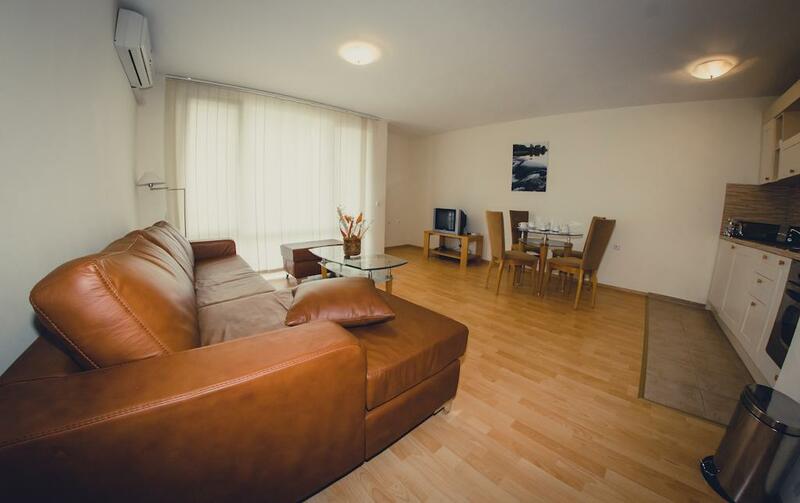 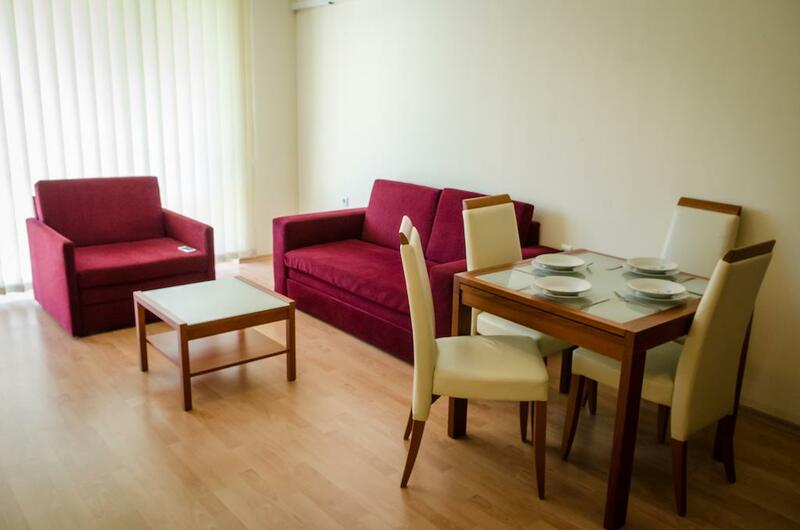 A large 1 bedroom apartment with one bathroom and one cloakroom with wc and hand basin off the entrance hall, bedroom, living room with sofa bed, dining area leading to kitchen area with table. 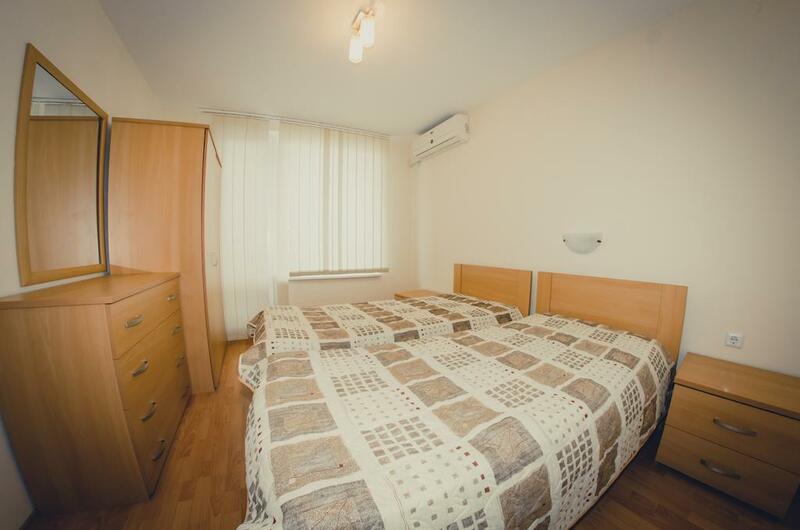 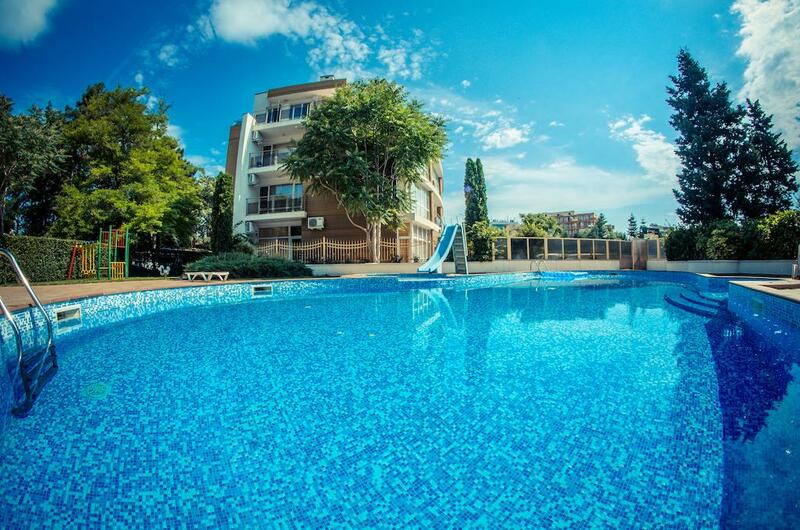 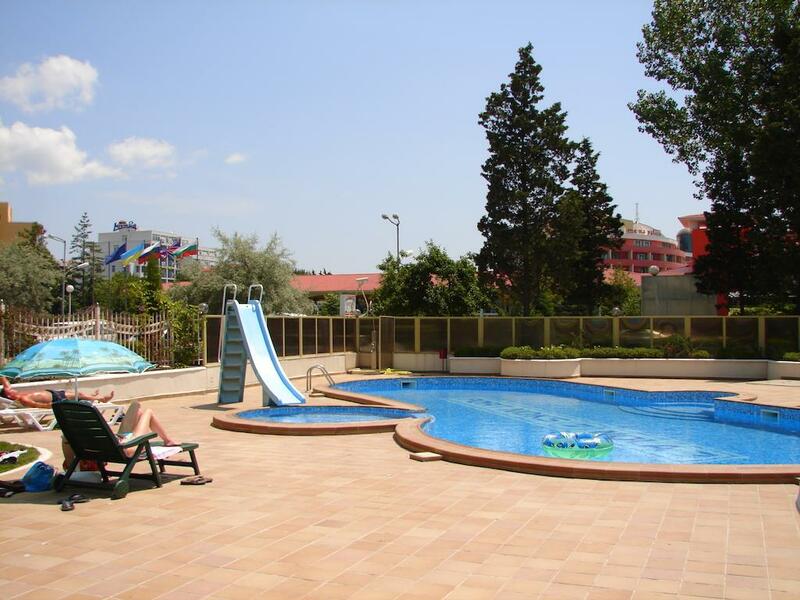 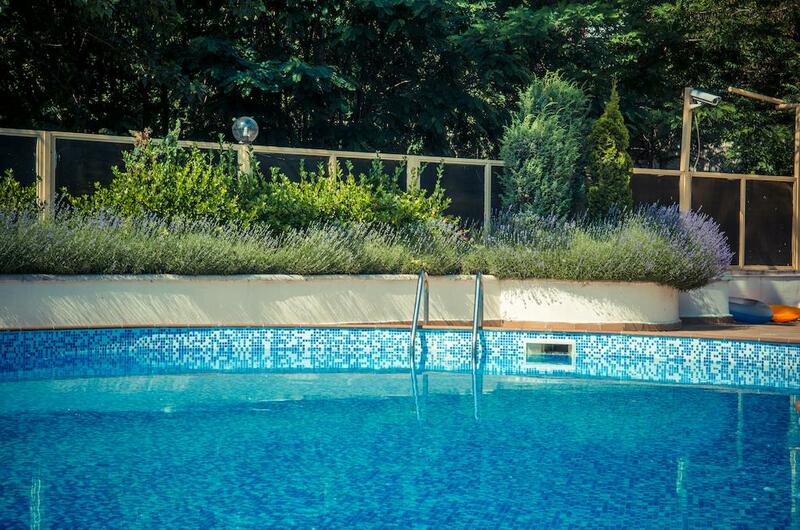 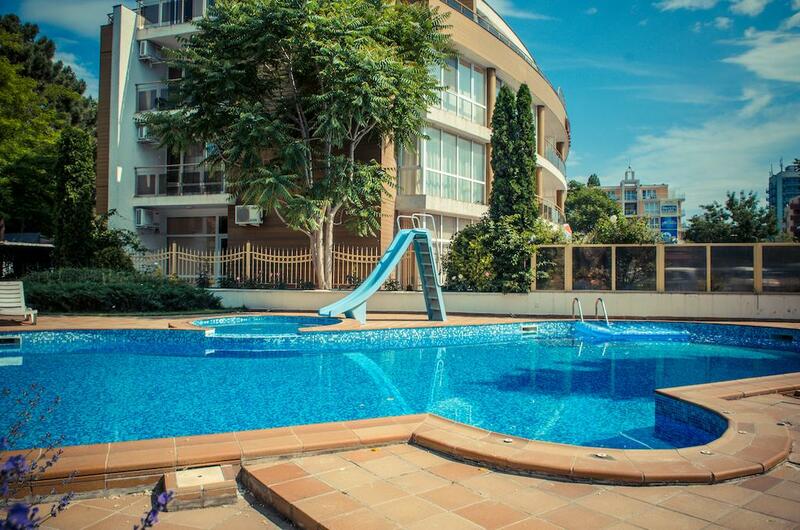 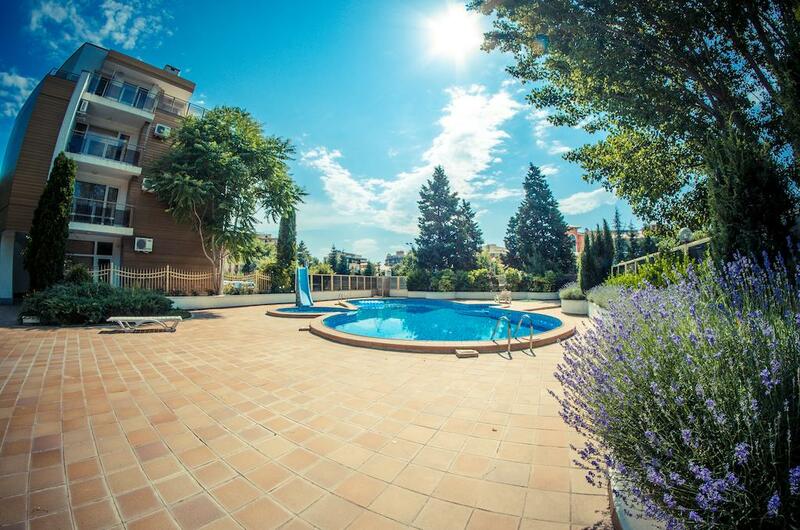 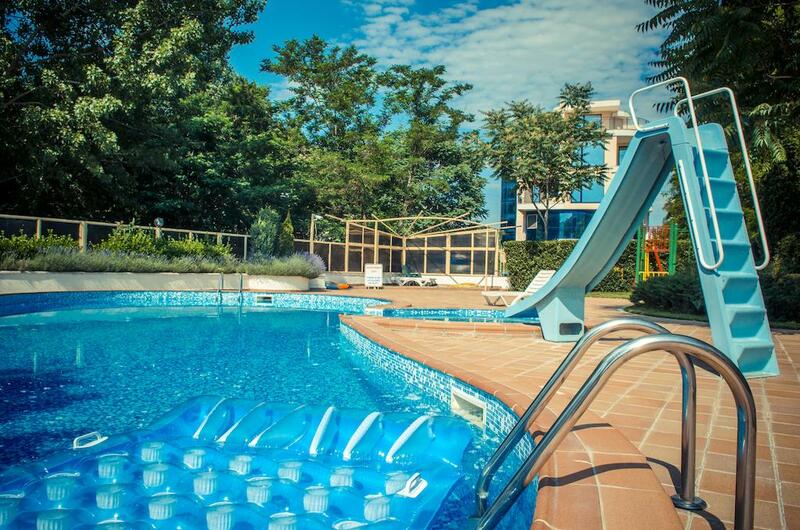 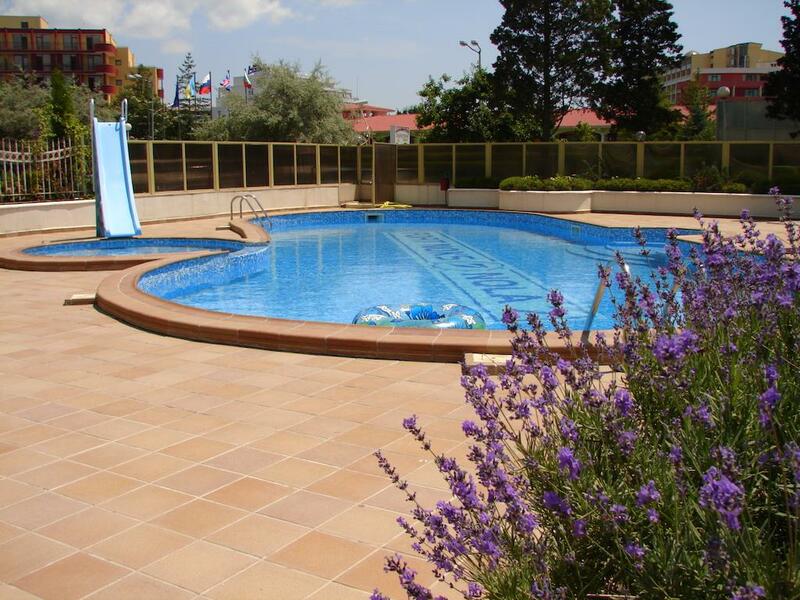 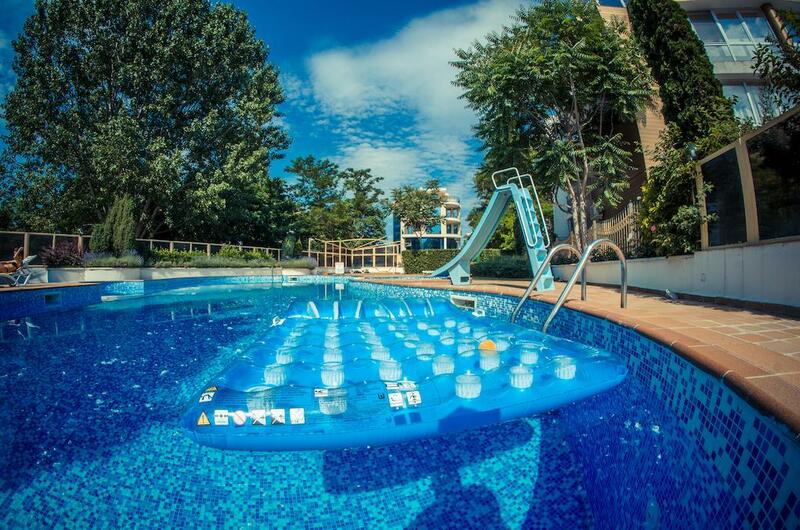 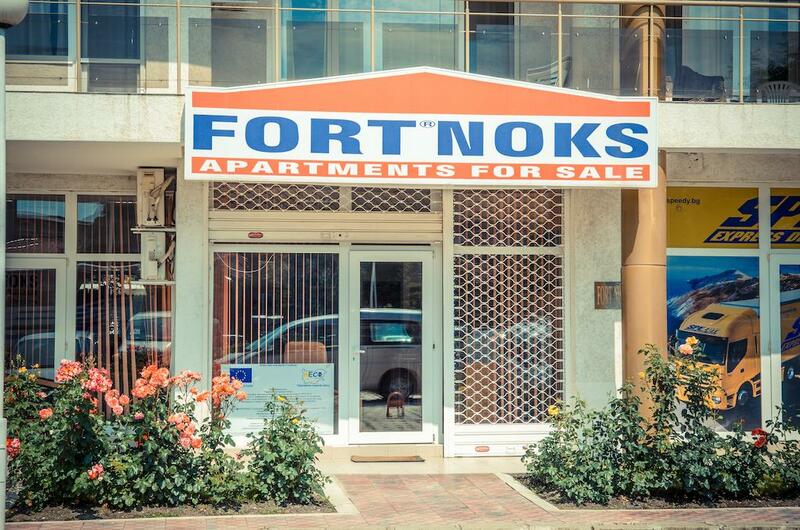 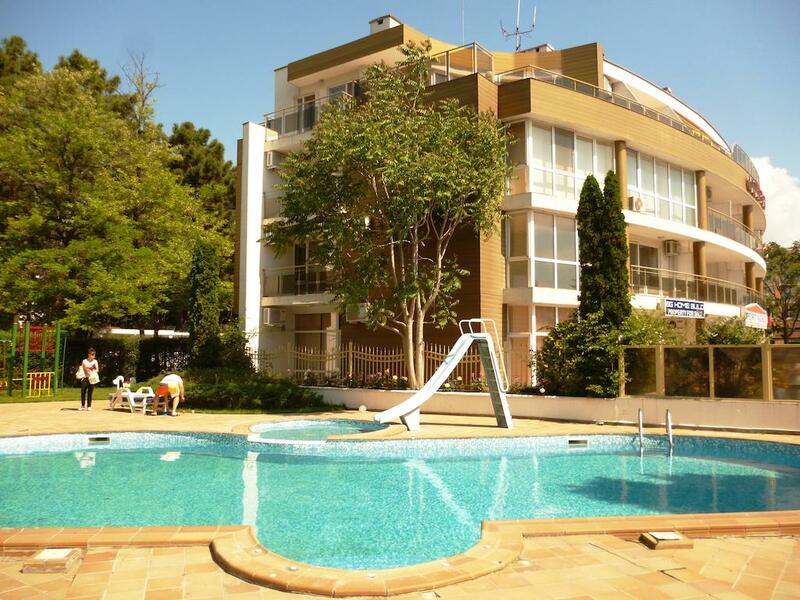 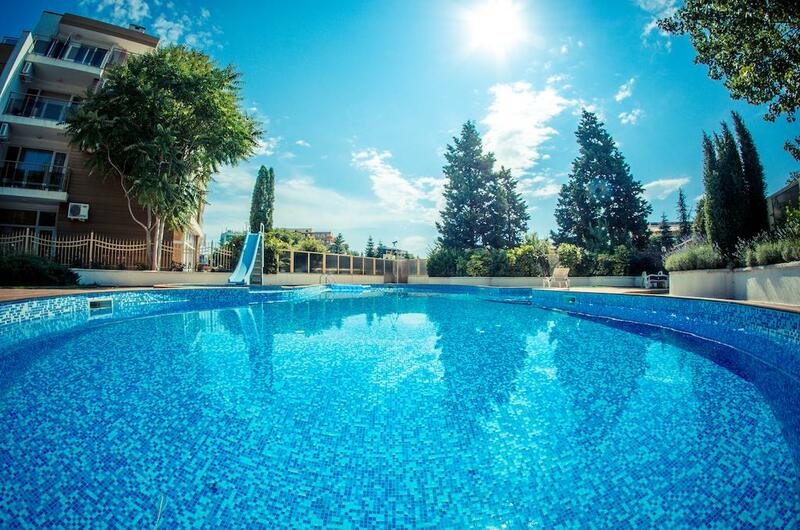 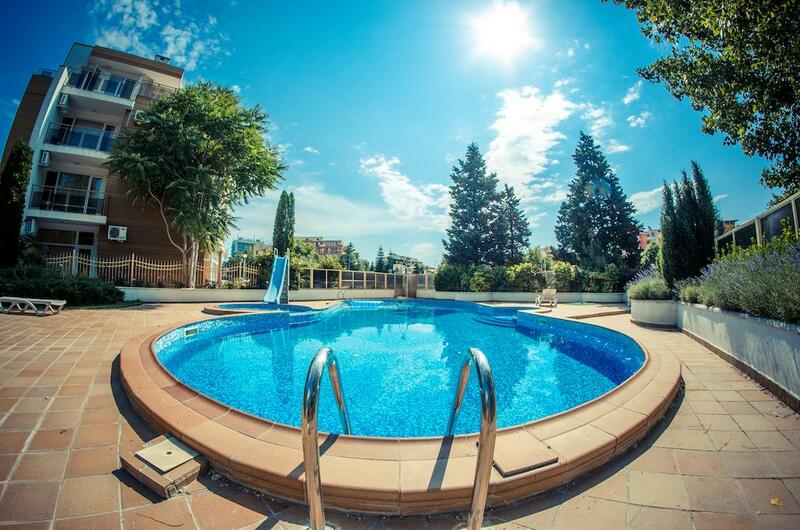 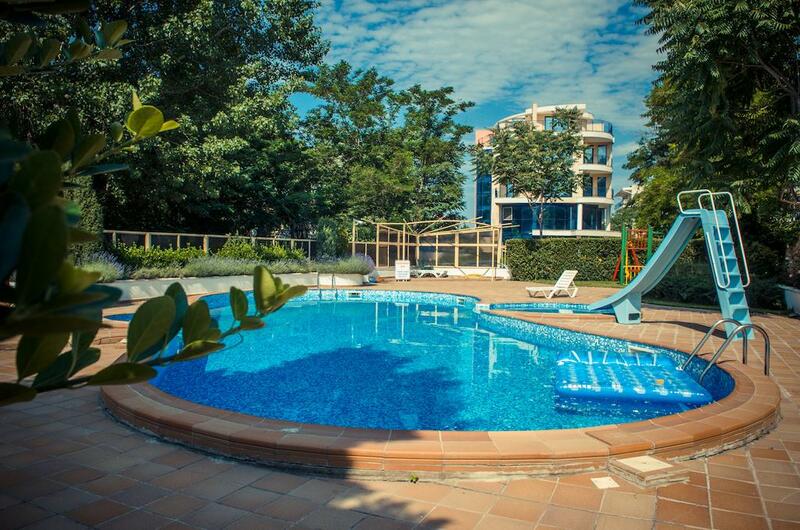 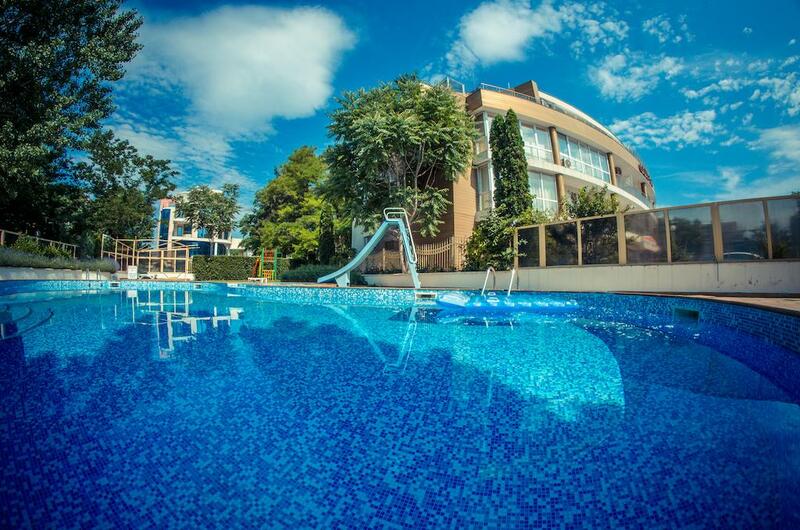 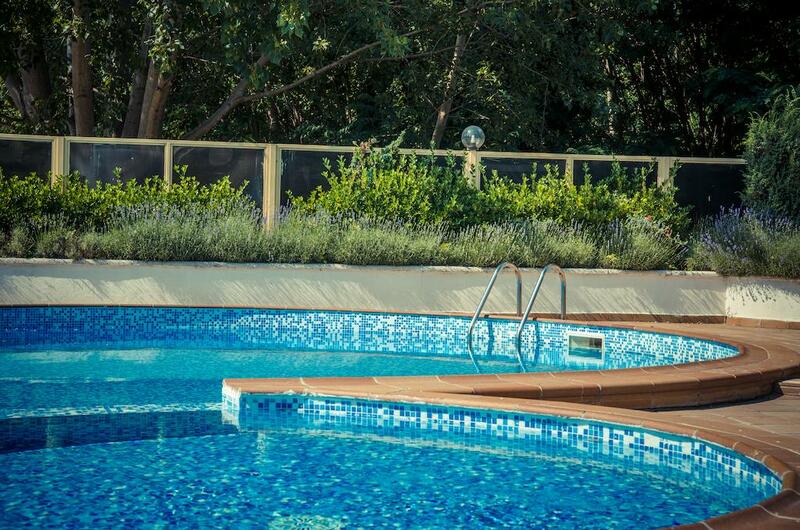 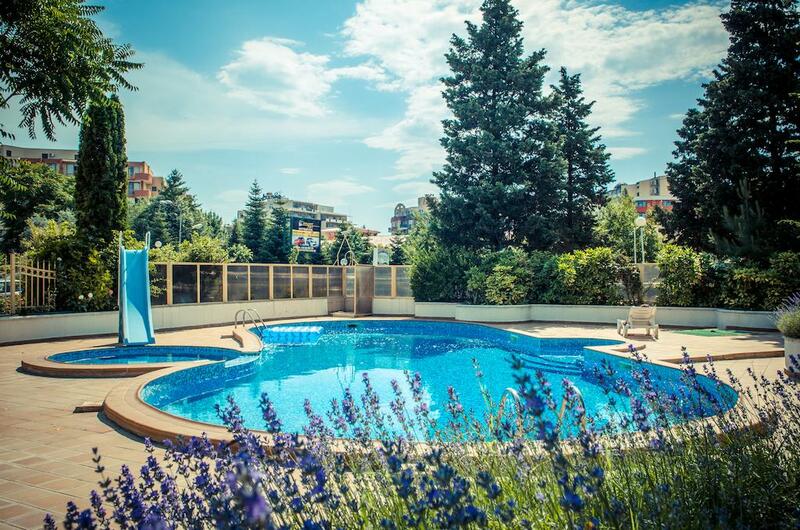 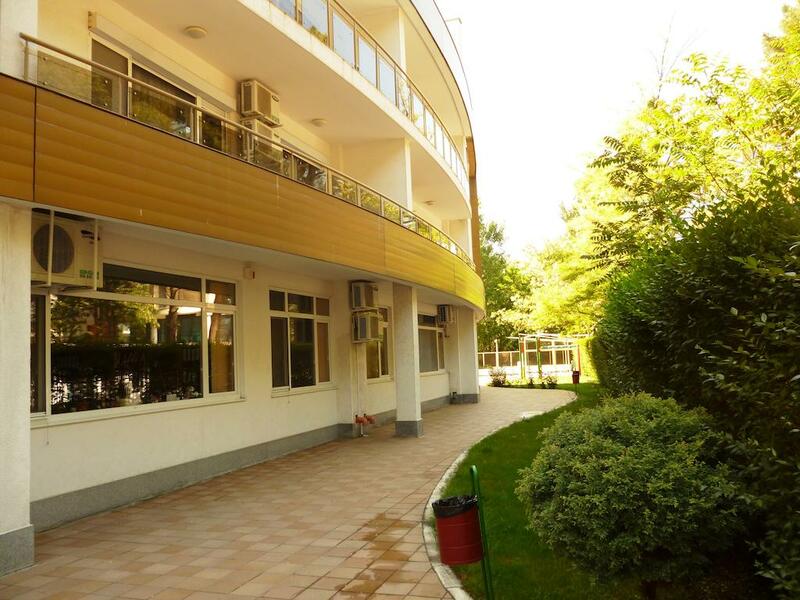 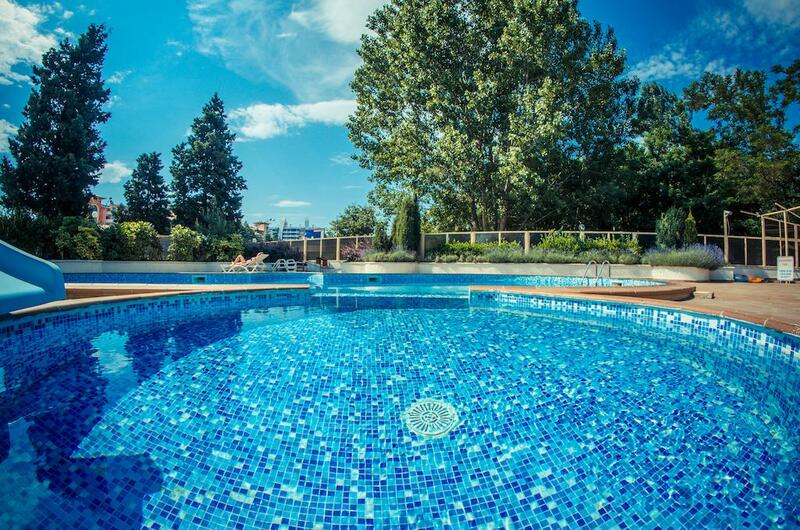 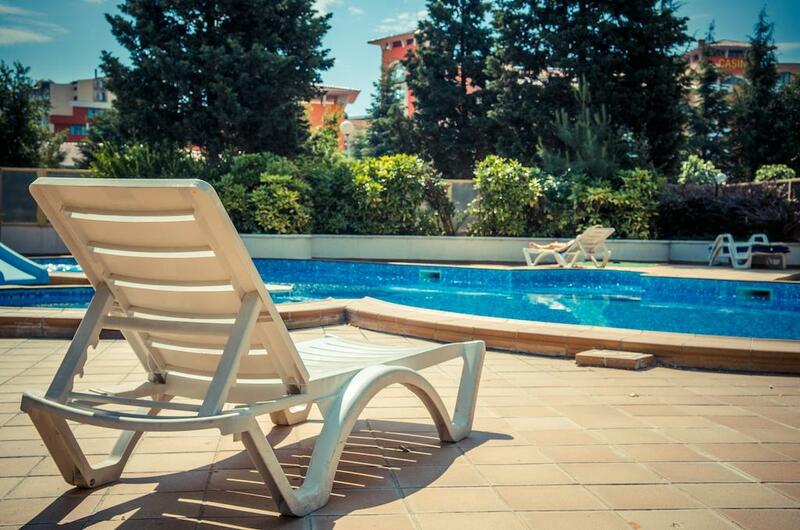 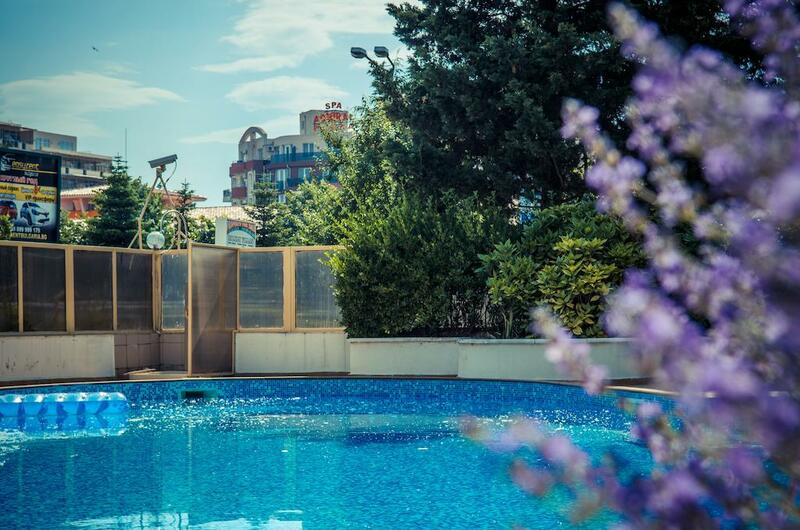 Located in the centre of Sunny Beach, a 5-minute walk from the Black Sea shore, Golden Fort Apartments feature an outdoor pool and air-conditioned accommodation units with a balcony. 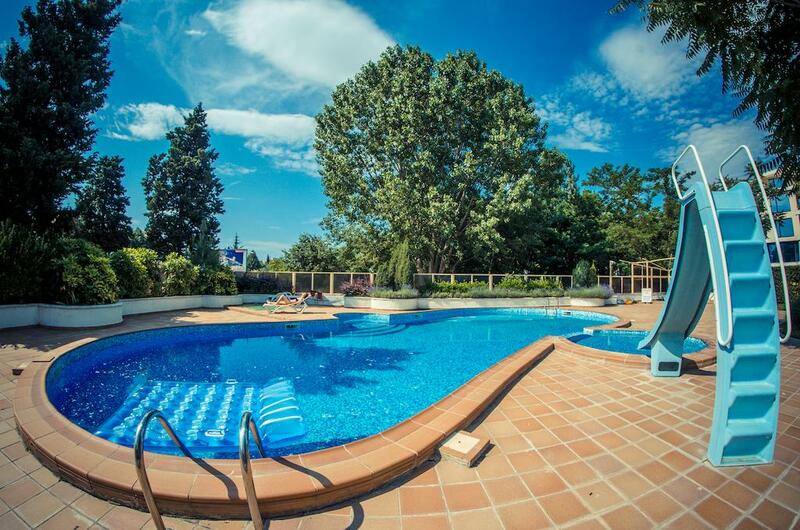 The property is 1.2 miles from Cacao Beach. 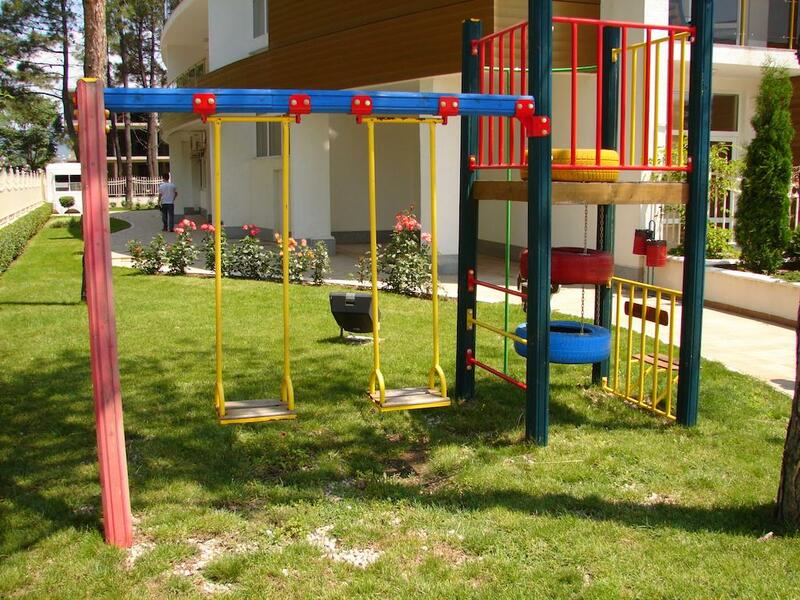 A grocery shop is just beside the property, while a supermarket can be found 100 yards away. 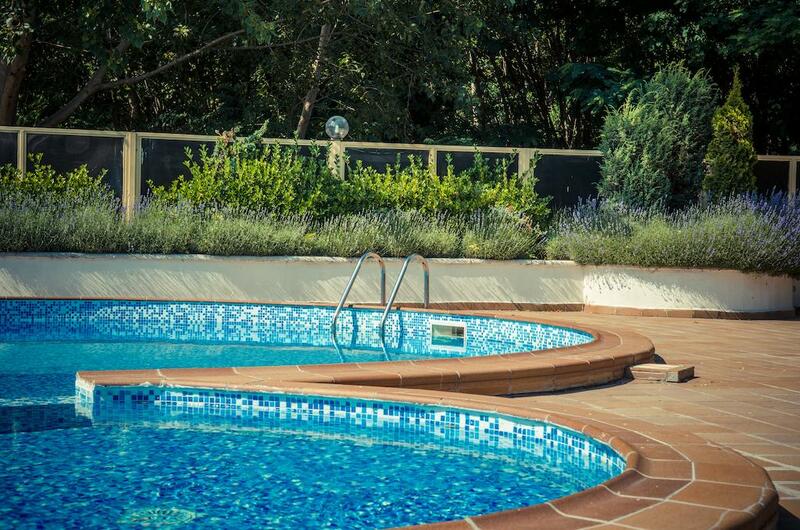 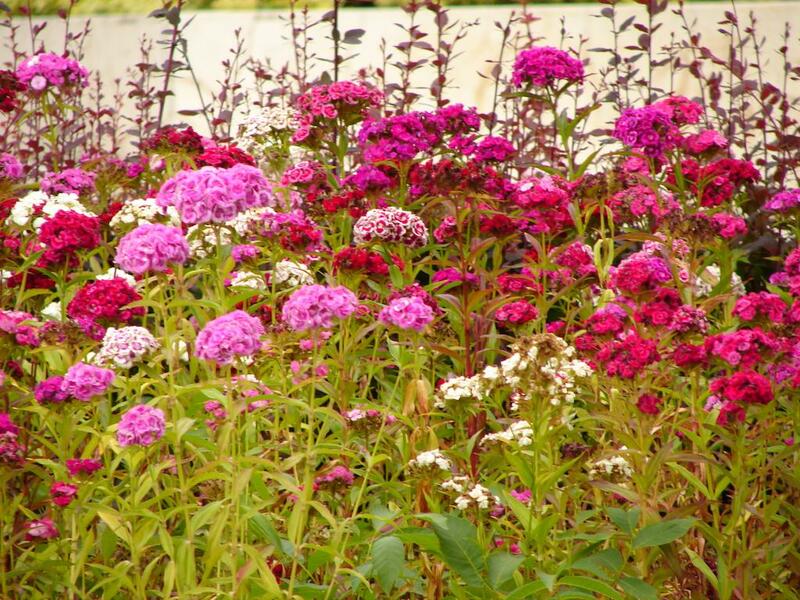 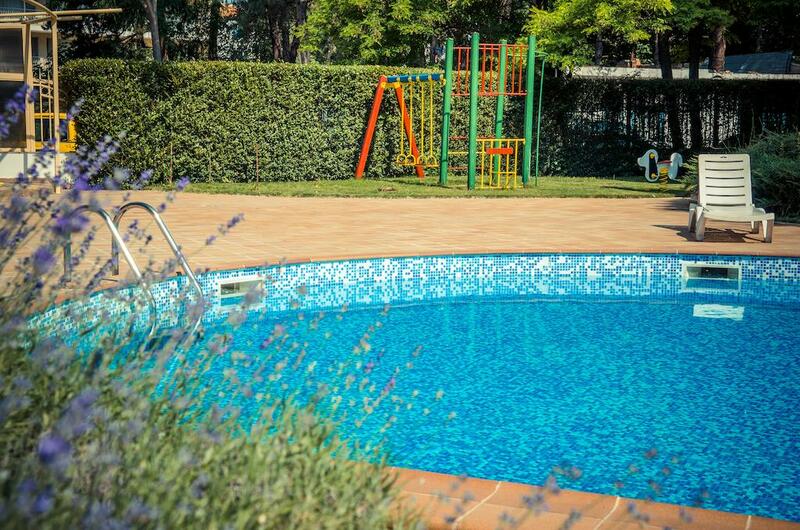 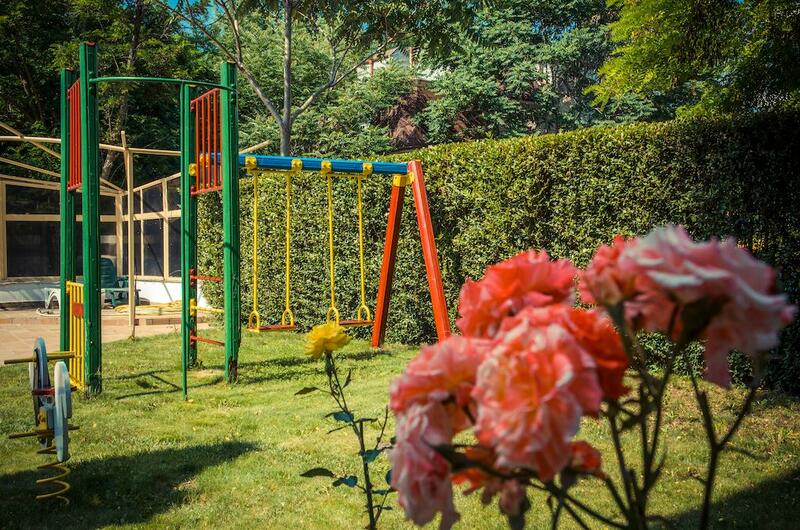 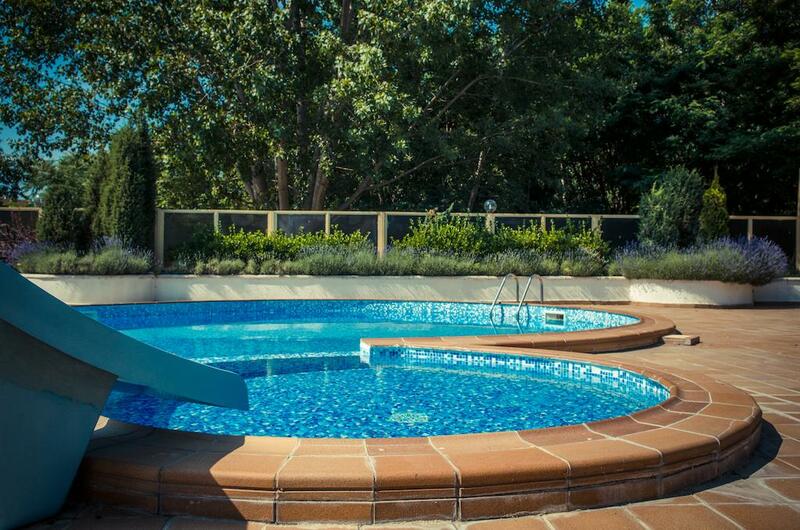 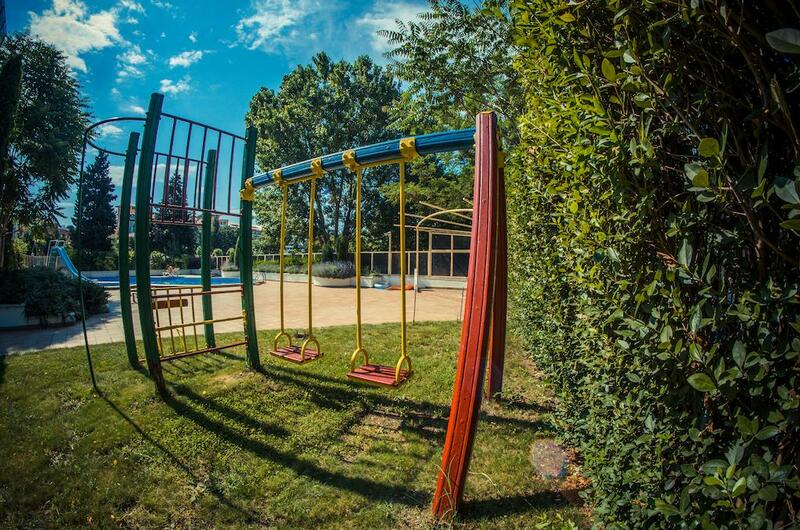 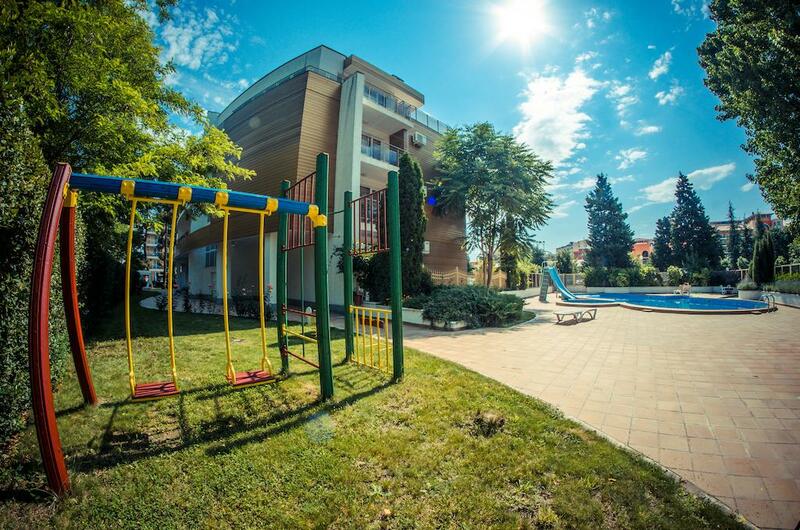 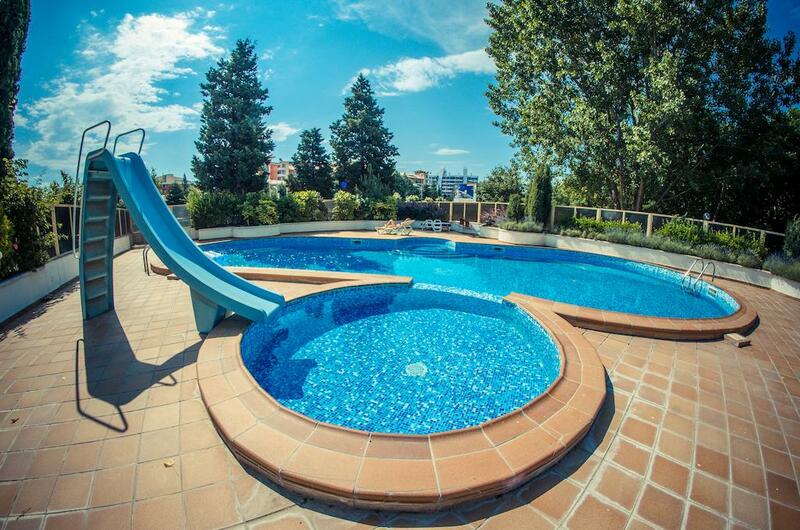 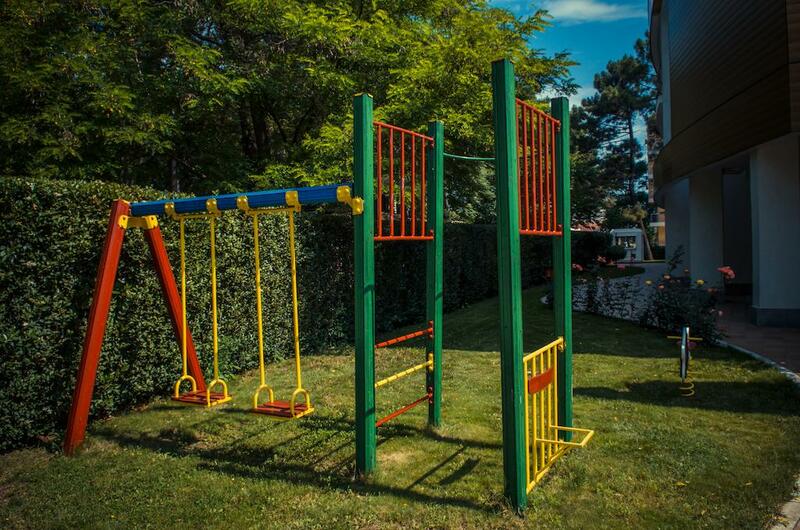 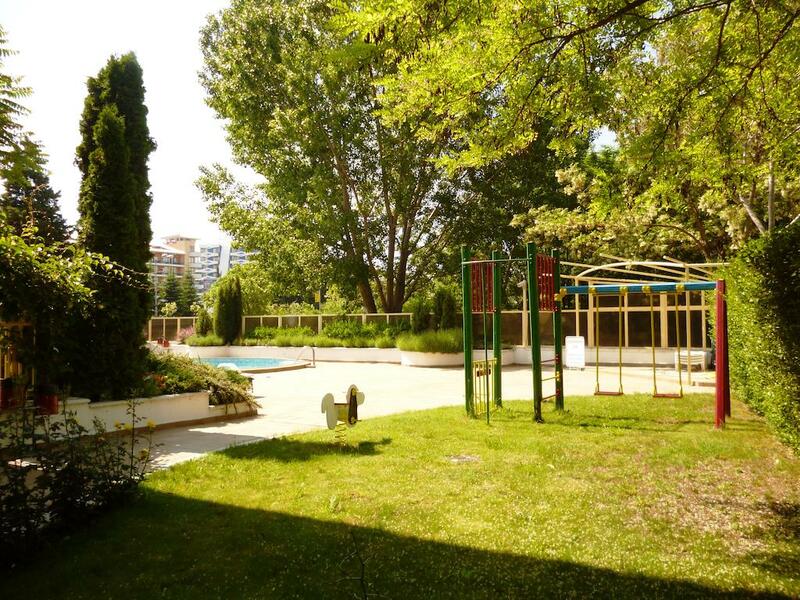 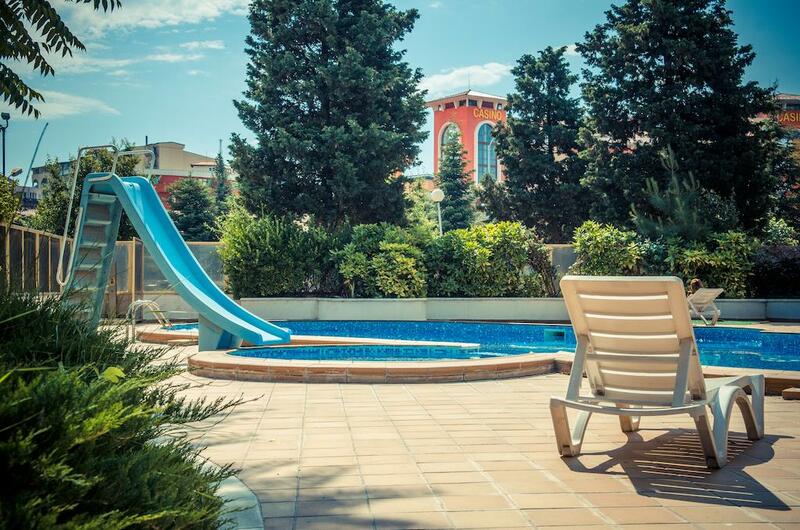 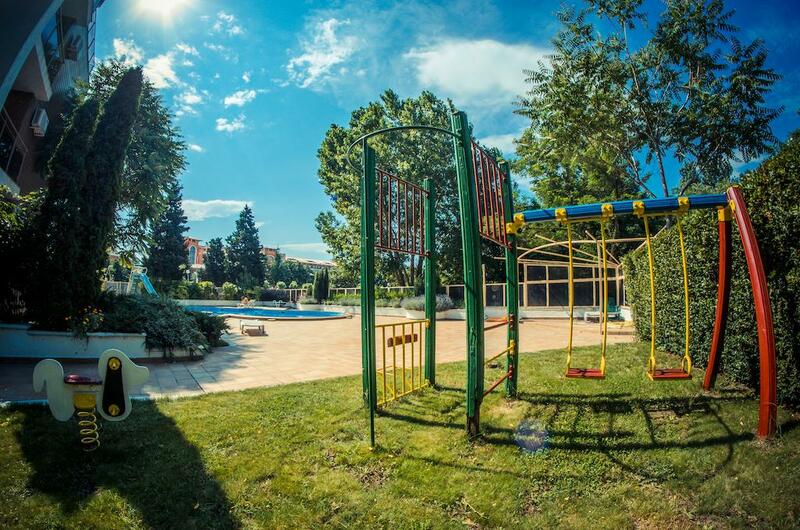 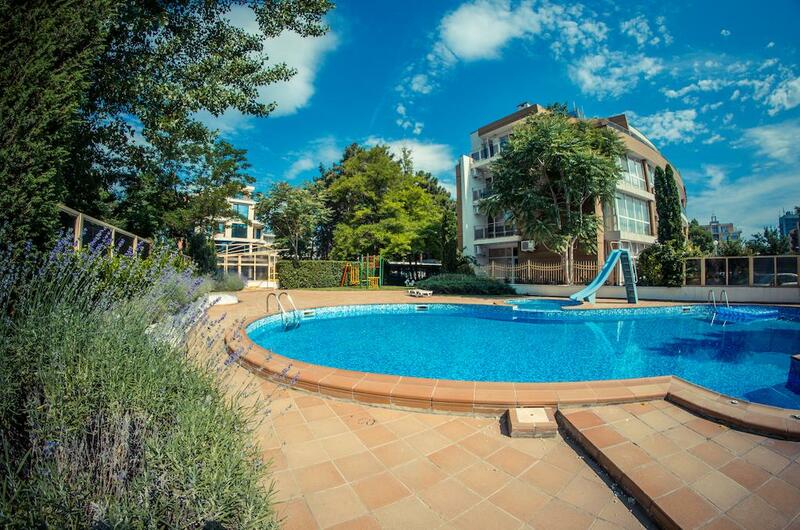 The property features a garden, a children's playground and free private parking spaces. 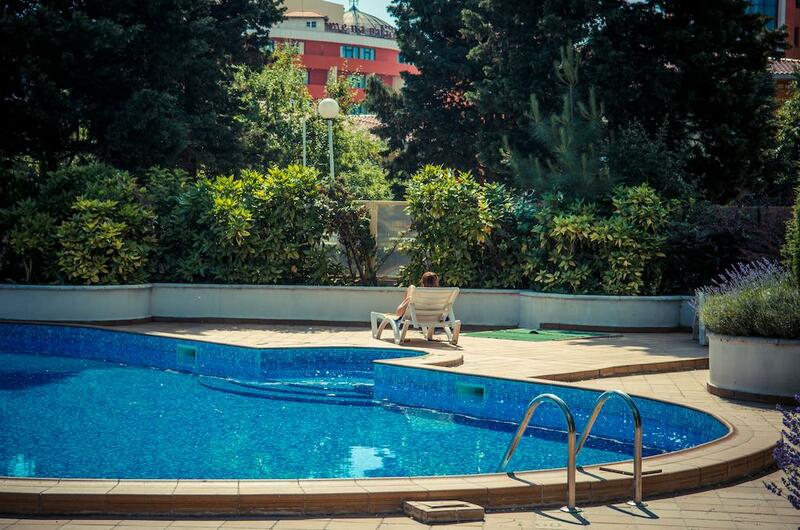 The Central Beach is 550 yards away and the closest bus stop is 50 yards from Golden Fort Apartments. 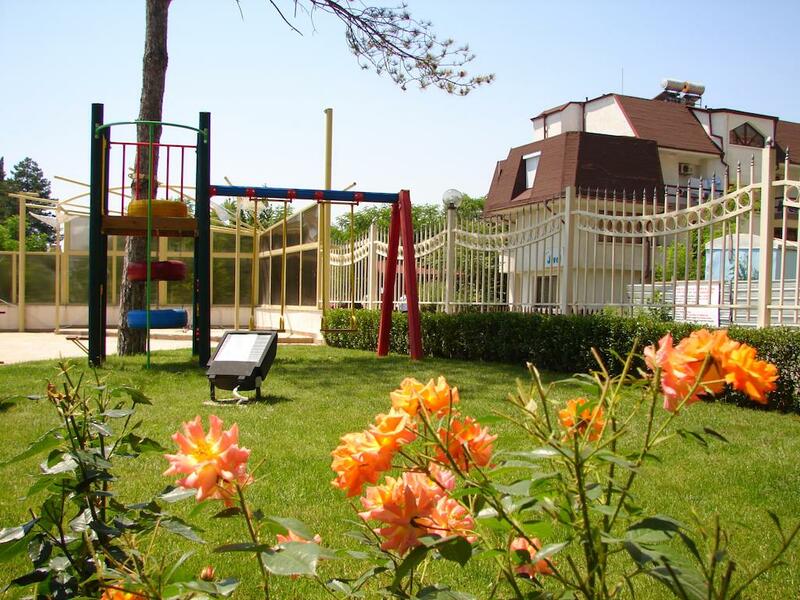 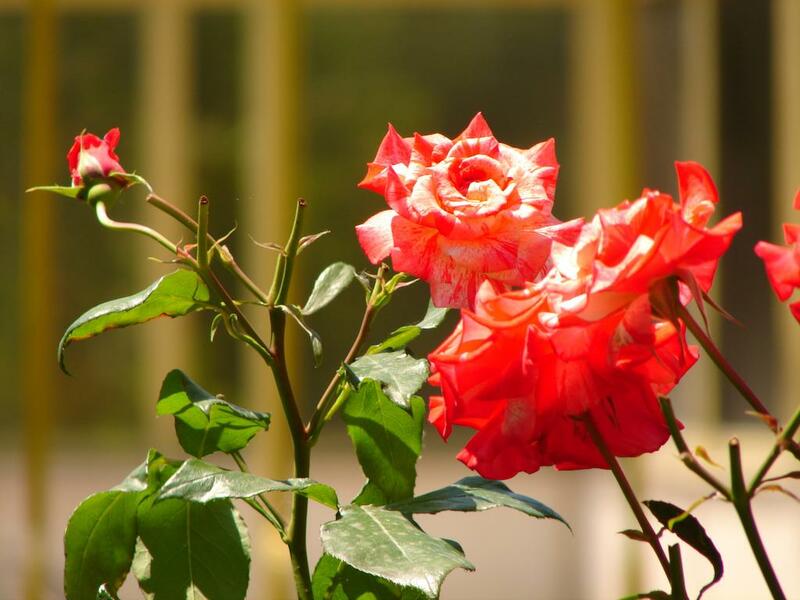 Varna Airport is located 38.5 miles from the property and shuttle services are possible for a surcharge. 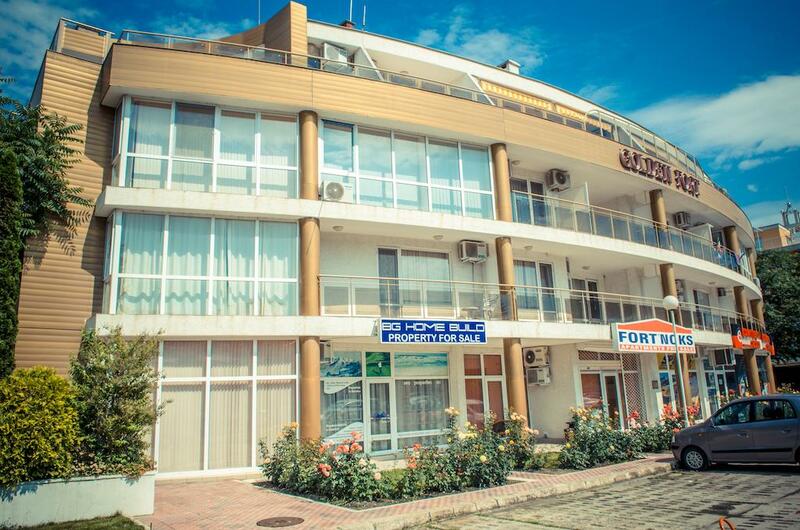 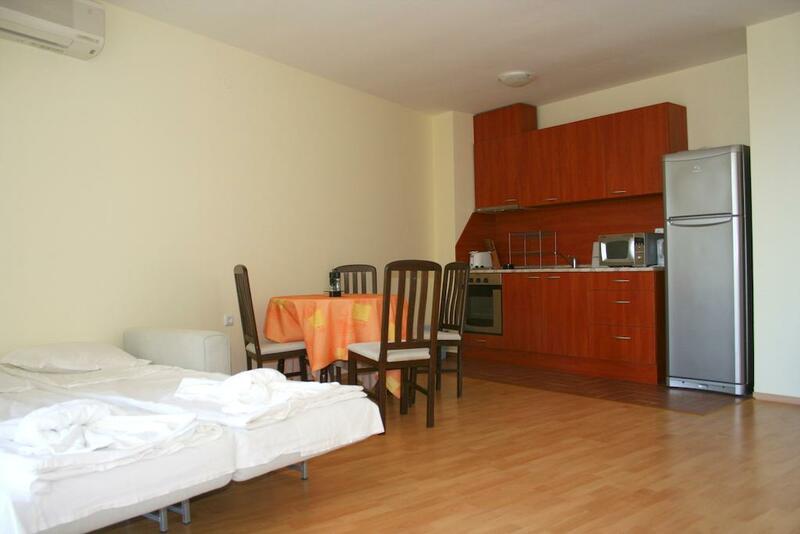 Burgas Aiport is within 18.6 miles of the apartment house. 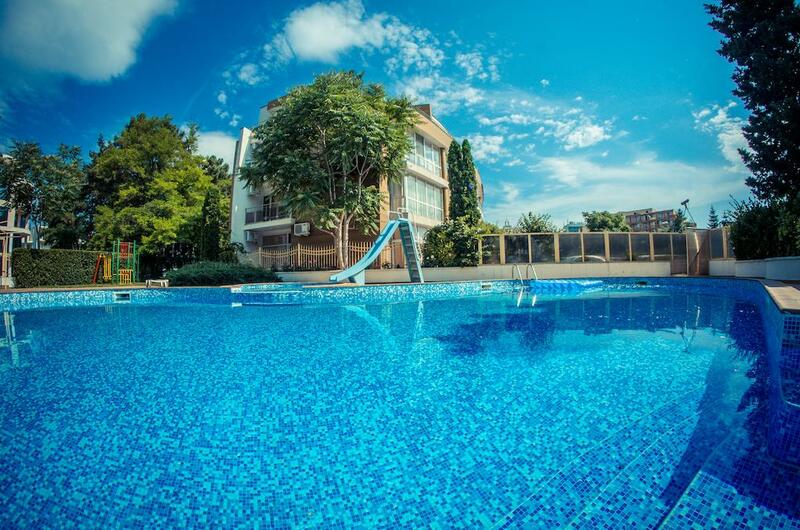 © 2019 www.worldofproperty.cn All rights reserved.